Importing is the quickest and easiest way to create Biblio content. Open an RIS file in a plain text editor and copy the code inside of it. 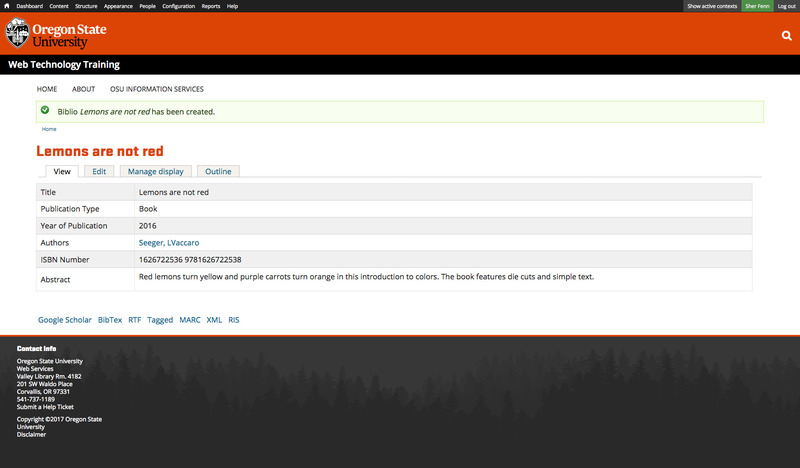 Go to Admin menu > Content > Add Content > Biblio in your OSU Drupal 7 site. 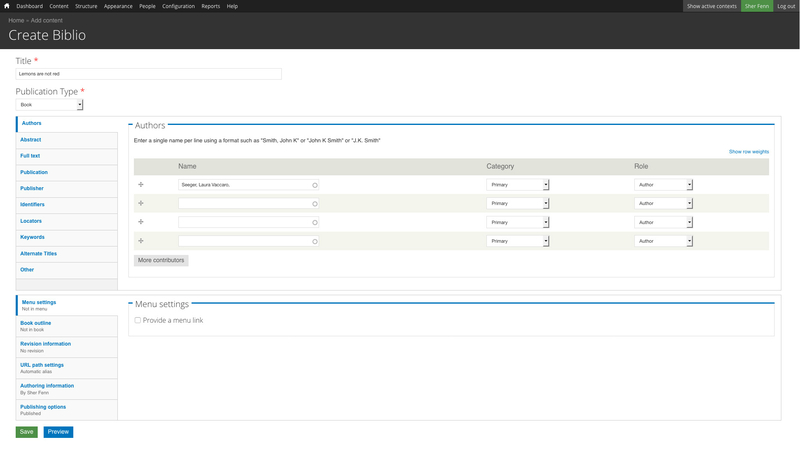 Click the Paste RIS Record fieldset to open it and paste your information into the text box. Click the Populate using RIS button. The system will analyze your information and present you with an already filled-out Biblio form. Click through the left tabs (Authors, Abstract, Publication, etc.) and make sure everything is how you want it. Feel free to add information if you would like. After you're satisfied, scroll to the bottom and click Save.